In spite of the widespread xenophobia, political populism, and numerous instances of barbed wire fences being installed along the EU borders, the flow of refugees to Europe has been growing steadily. 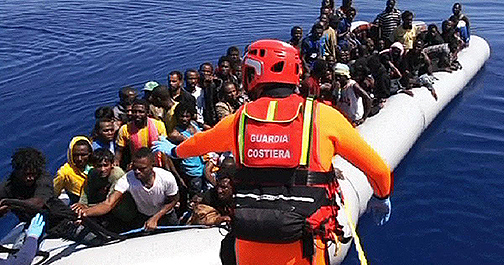 As it’s been reported by the Bild with a special reference to an undisclosed report drafted by the European intelligence agencies, a total of 6.6 million refugees in the Mediterranean countries are awaiting the opportunity to carry on their journey to Europe. About 3.3 million refugees that are planning to reach Europe at some point the future are residing in Turkey, another 720,000 found temporary refuge in Jordan, another million can be traced in Egypt and Libya, 160,000 in Tunisia, and 430,000 in Algeria. A total 55% of all migrants arriving by sea to the EU are natives of Nigeria, Bangladesh, Guinea, Cote d’Ivoire and the Gambia. According to the United Nations High Commissioner for Refugees Spokesman, Babar Baloch more than 1,700 migrants suffered fatal injuries when they were trying to reach Europe by crossing the Mediterranean Sea. While Baloch notes that rescuing lives remains a top priority of the EU, he’s convinced that there must be reliable alternatives to these dangerous sea routes for those people who have found themselves in dire need of international protection. According to Baloch, if a person wants to reunite with his family in Europe or gets resettled he must have a safe way to do it. However, the measures taken by the EU to accommodate arriving migrants have recently faced harsh opposition in a number of member states. Thus, most Germans believe that Germany has already exhausted its capabilities to accommodate new migrants. The west of the country, where to the problem is more apparent than in the east, you can often encounter skeptical attitudes towards the policies Berlin pursues, says the Die Welt. Mayors of German cities and communities, whose budgets were exhausted by the expenditures on the accommodation and consequent integration of more than a million refugees, are demanding the Chancellor to get more funds their way, since a part of the costs they suffered was not compensated, reports the Bild. The sitting Chancellor of Austria, Christian Kern has recently announced the reluctance of his country to take part in the European program design to ensure the relocation of refugees. Prior to that, the Austrian Minister of Defense and Sports, Hans Peter Doskozil urged the state to abandon the accommodation program, since Austria has already exceeded the initial quota of asylum seekers that it was willing to accommodate. The Czech government has made it pretty clear that it’s not going to be a part of the above mentioned EU program. As it’s been stressed by the Ministry of Internal Affairs of the Czech Republic, after the latest string of terrorist attacks in Europe, the security situation has changed drastically while the distribution system does not work. 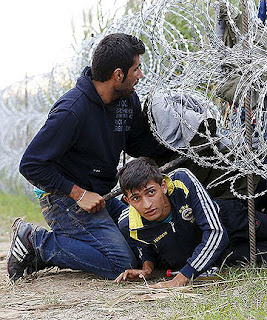 Brussels assumed that the Czech Republic would be capable to accommodate 2,691 migrants, the Deutsche Welle reported. Yet, according to Reuters, so far the Czechs have provided shelter to a total of ten people. Polish interior minister Mariusz Blaschak is also convinced that against the backdrop of the growing danger of terrorist attacks, Europe should close its doors for the Muslim migrants arriving from North Africa and the Middle East. 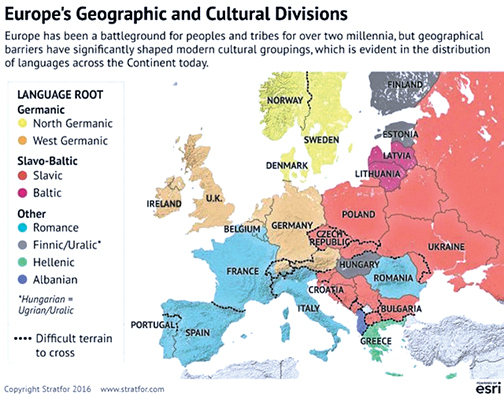 In his opinion, multiculturalism contradicts Christian values, while undermining the roots of the European. Blashchak has been pretty verbal in his criticism of the European Commission and the former Polish authorities for their cooperation they provided within the framework of the resettlement program. At the same time, according to the statement of the Deputy Foreign Minister of Poland Konrad Szymanski, Warsaw has even promised to block the project of the EU budget if Brussels carries on insisting on the admission of new groups of migrants from Africa and the Middle East to Poland. Hungary has also publicly expressed its negative attitude towards the migration policies that the EU pursues. 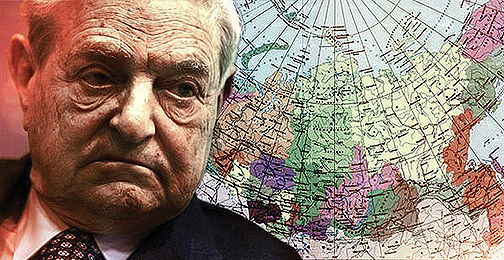 Thus, in a recent interview with the Hungarian pro-government newspaper Magyar Idök, Hungarian Prime Minister Victor Orban has pointed out that there’s a link between the migration crisis and the Central European University sponsored by Soros, noting that George Soros has been pushing for the accommodation of a massive number of migrants via the political structures he established in Hungary. 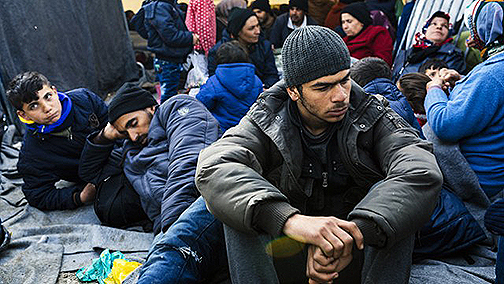 In order to address today’s disproportion in the number of migrants every country accommodates, the European Commission is planning to introduce a number of penal procedure to stimulate Hungary, Poland and the Czech Republic to play by their rules, since those states refuse to accept refugees arriving from Italy and Greece, and thus they do not fulfill the redistribution plans approved by Brussels in 2015. The European Commission sent official requests to the governments of all three countries to explain the reason for their failure to accommodate refugees. If within the next two months these countries won’t cave in to the EU demands, the European Commission will demand the EU court, which has the right to oblige violators to comply with the demands of Brussels and subject states to fines to pass its ruling on this case. According to the UNHCR report Global Trends: Forced Displacement that was released back in 2016, so far Turkey (2.9 million refugees), Pakistan (1.4 million people) and Lebanon (1 million refugees) accommodated the largest number of refugees. As for the European countries, Germany holds the first place with 669,000 received, followed by France with 304,000 migrants received and Sweden 230,000 migrants received. Taking into account Turkey’s continuous demands to get a compensation for the accommodation of refugees, the Bild has recently published a detailed explanation, pointing out that the European Union has already paid Turkey even more than it was supposed to, and this whole situation is extremely beneficial for Turkey. As follows from the report of the European Commission, that was originally intended for internal use only, at the moment the EU has approved the transfer of 1.5 billion euros to Turkey out of the 3 billion it was bound to pay in accordance with the agreement Brussels and Ankara reached. Out of this sum, a total of 660 million euros was to be received by Turkish ministries, including 300 million euros that were to be allocated to the Ministry of Health and the Ministry of Education, and another 60 million to the Office for Refugees. So far, Europe has transferred 811.4 million euros, with a total of 222 million euros going into the pockets of the Turkish government. This effectively make Turkey the second largest beneficiary of EU financial assistance, with the UN World Food Program only getting more funds from Brussels. At the same time, the European Commission emphasizes that this transfer intended for refugees and their accommodation, and not for Turkey and its government.